Hi friends! Another post for me today! :) My trip to Target was surprisingly good. I got AMAZING coupon deals! I'm pretty excited! I decided I wanted to go ahead and blog again today. Why I'm not saving this blog for another day, we'll never know. 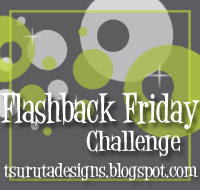 My bloggy pal Amy runs a once a month challenge called Flashback Friday where the challenge is to post one of your very first cards. The current challenge is issued by yet another one of my bloggy pals and DT mate Stephanie. :) Stephanie challenged folks to blog their first technique card. On top of that, the challenge is being sponsored by yet another one of my bloggy pals, Sherry. 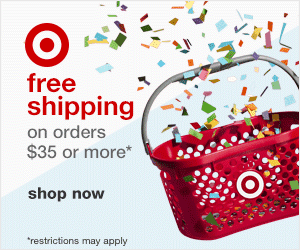 She's giving away so YUMMY crinkle ribbon! My first technique card that appeared on my blog is one with the dahlia fold which I still think makes a pretty classy card. This card is HUGE! I made it for my friend Paula as a thank you for a very generous gift. You can see my original post HERE. I don't know what's wrong with the picture in that post but I found another picture of the card so I posted that. I am shocked that I still think this card is a-ok! :) I cringe at most of my older stuff. Check out the challenge HERE. Have a great night everyone! I'll be back tomorrow with a Thanksgiving card. Happy Thanksgiving my friend. I hope you have a wonderful day with your family and friends. Your card is so cute and just love this technique. I'm really loving this Flashback Friday challenge...I'm not much of a technique gal so now I have all this "to-do" techniques! Great card!!!! Thanks for playing along in Flashback Friday 5.0!